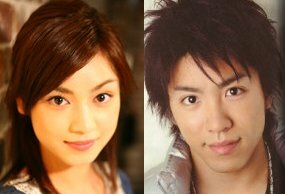 According to the 28th May edition of Jousei Seven, another Johnny’s artiste Murakami Shingo is reported to be dating, actress Taira Airi. They were spotted on a date in Mount Koya, Osaka. The 2 got close being regular casts for “Hirunandesu!”, a variety show. It is said that trust developed between them as Murakami would talk to her as she gets nervous for live shows. “He also remembers that she appeared in 2001 drama “Kinpachi Sensei”. She was apparently moved that he remembers it as her role was forgettable,” says TV staff. ← Kisumai Tamamori Yuta was also interested in Miori Takimoto?